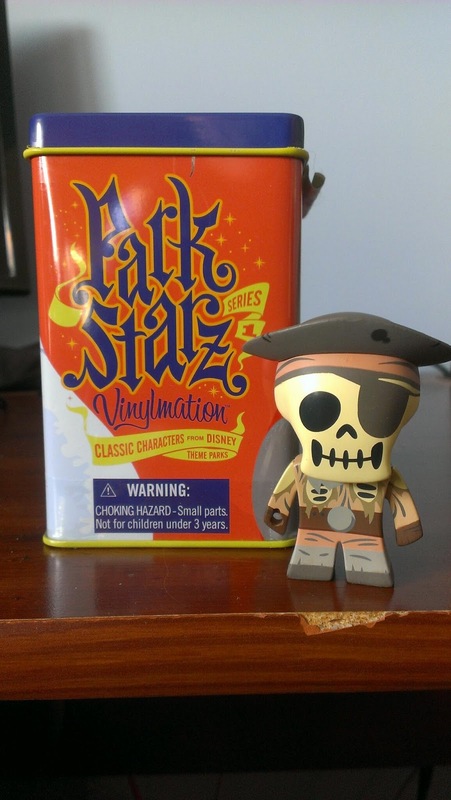 A recent trip to Disney World resulted in a new vinylmation to my collection. This one is the representative of the legendary attraction Pirates of the Caribbean. Movies have been made based on this ride and now there is the vinylmation character. Obviously it represents the skeletons on in the ride, but now it sits on my shelf reminding me of another wonderful vacation in Disney.